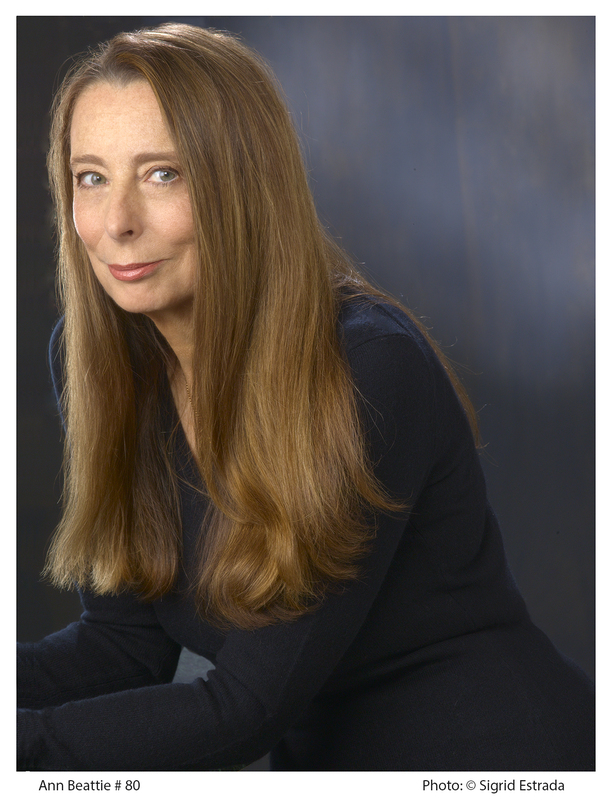 “Ann Beattie at her most magnificent…Her first new collection in ten years...These tales explore the range of emotional states the author is famous for: longing, disaffection, ambivalence, love, regret. It’s nice to hear her voice again” (People). “A peerless, contemplative page-turner” (Vanity Fair), The State We’re In is about how we live in the places we have chosen—or been chosen by. It’s about the stories we tell our families, our friends, and ourselves, the truths we may or may not see, how our affinities unite or repel us, and where we look for love. 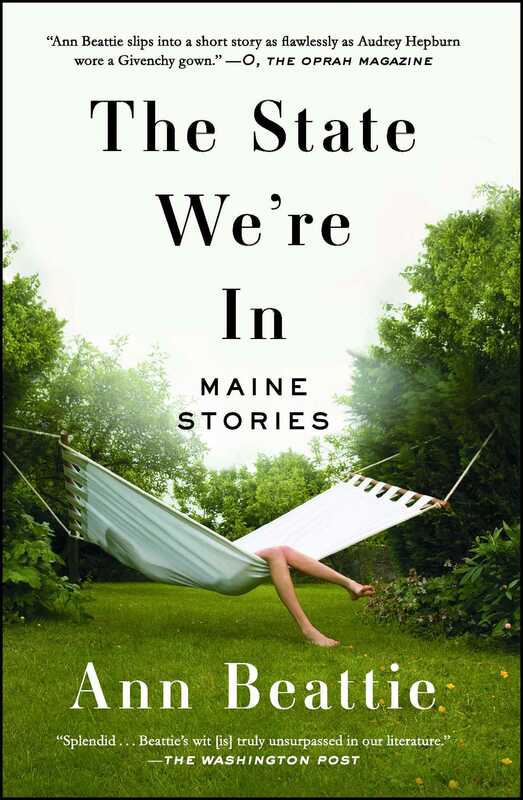 Many of these stories are set in Maine, but The State We’re In is about more than geographical location. Some characters have arrived in Maine by accident, others are trying to escape. The collection is woven around Jocelyn, a wry, disaffected teenager living with her aunt and uncle while attending summer school. As in life, the narratives of other characters interrupt Jocelyn’s, sometimes challenging, sometimes embellishing her view. “Ann Beattie slips into a short story as flawlessly as Audrey Hepburn wore a Givenchy gown: an iconic presentation, each line and fold falling into place but allowing room for surprise” (O, The Oprah Magazine). “Splendid...memorable...every page…fitted out with the blessed finery of hypnotic storytelling” (The Washington Post), these stories describe a state of mind, a manner of being. The State We’re In explores, through women’s voices, the unexpected moments and glancing epiphanies of daily life. "Short-story queen Beattie is back with her first new collection in 10 years... These tales explore the range of emotional states the author is famous for: longing, disaffection, ambivalence, love, regret. It's nice to hear her voice again." “Ann Beattie’s gorgeous The State We’re In makes a strong case for the significance of place." "Sparkling.... [her stories] finish with a quiet flourish, throwing a sudden subtle twist at us... In the end, these carefully drawn, minutely illustrated portraits of women-- and men-- depict slices of life in all its complexity." "Splendid... memorable... Beattie’s sociological wit and probity are truly unsurpassed in our literature... though I didn’t think this was possible, I experienced an even more heightened awe of Beattie’s skills... The dexterity of tone, fearless honesty, and close mapping of lives that may lead to ghastly revelations or even redemption are sheer gifts of reading... this collection has many, many moments of utter surprise. In fact, every page is fitted out with the blessed finery of hypnotic storytelling." "Moving fluidly between adolescents and septuagenarians, it leaves us with the sense that uncertainty, disconnection, is not a matter of chronology but rather of being alive." "Edgy, funny and dark... Beattie’s unerring dialogue exposes each story’s truths... effortless grace." “Slyly funny, still exhibiting the author’s nonlinear narrative style and unique gift of reflecting our inner angst with our surroundings... With a few deft strokes and not a little humor, Beattie paints the nuances... A sense of discomfort pervades The State We’re In, but thanks to the Beattie’s trademark sleek prose and perfectly calibrated authorial distance, it makes for weirdly entertaining reading." "What has always set Beattie’s stories apart is their open-ended capaciousness, so unlike the deterministic, epiphany-shaped prose that has defined the short form... THE STATE WE'RE IN is a revelation, and is shaded by the perspective of an author who now understands both sides of a generational divide... In a Beattie story, perspective is preeminent, and it’s never one you expect. The unwieldiness of human nature, the strangeness of time and circumstance, inevitably shine through." “The incomparable Ann Beattie’s cunning new story collection... remarkable (and witty)... finding meaning in the mundane and using the small to define the large... Beattie’s Maine can be another’s New York, Tennessee or Montana-- so distinct and so quotidian are her characters." “As always, she illuminates the outskirts of interpersonal apocalypse, a ‘state’ more material than geographical, riddled with cultural paraphernalia."